Personalized Throw Pillow! 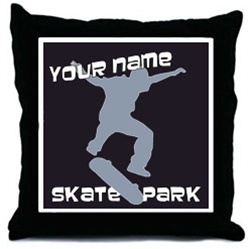 Now you can add a personal touch to your room, for any little skater you might know. 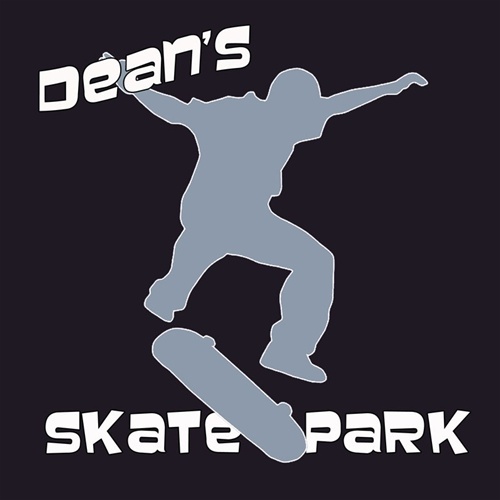 Our Skate Park design features a shadow skater pulling a sweet kick flip at the local skate park. The name at the top can be any name you choose! 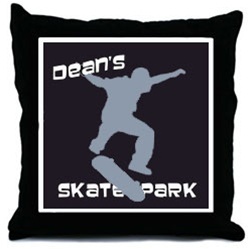 This Dean Miller exclusive Skateboarding themed throw pillow will add stylish fun to any skater's room with our roomy skatedecor throw pillow. It measures a sprawling 18" X 18" with an 11” X 11” image area so you can lounge in comfort. It’s made of ultra-soft brushed twill with a sturdy canvas image area. Ships with pillow insert. Removable zippered cover for easy laundering. 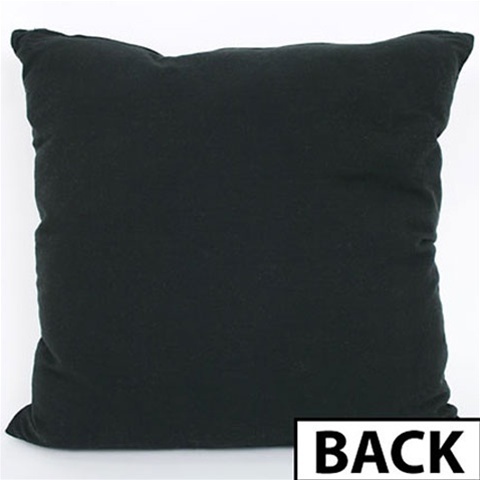 Pillow has an all white logo / image area surrounded by black trim, and the back of the pillow is all black as well. Only available in this colorway. Click image for more product views. Only $34.99 each for a custom designed pillow, sure to please any little skate rat you know. Since these pillows are custom made, they will ship in about 4 - 5 business days, you can simply put what name you need in the customer order notes section upon check-out, or we will contact you. PLEASE DOUBLE CHECK YOUR SPELLING! If you have any questions please contact us at 949.698.6278. This item looks great with our skateboarding quilt. Another Dean Miller exclusive item. Just write what name you would like in the customer notes section upon check out!